The pace of announcements may have slowed, but more are on the horizon. The Democratic National Committee announced Thursday its first presidential primary debates will be held in Miami on June 26 and 27, which is less than three months away, but the presidential field is still far from set. Miramar, Florida Mayor Wayne Messam entered the race this week, inching the primary field count closer to 20 candidates. And with former Vice President Joe Biden, Sen. Michael Bennet and Rep. Tim Ryan (among others) discussing possible runs, it may not be long before the group tops 20. If that happens, that could pose serious problems for the DNC and the thresholds it set for its initial primary debates. The party has currently capped the number of debate participants to 20 and said in February that if more than 20 candidates met this criteria, they would give preference to candidates who cleared both the polling and fundraising thresholds, and if that was still too many people, they would include candidates with the highest polling averages. In an interview on "The View" Wednesday, Abrams responded to reports that Biden was interested in naming her as his running mate as he reportedly prepares to mount a presidential bid. "I think you don't run for second place," the former Georgia gubernatorial candidate said, adding, "If I’m going to enter a primary, I’m going to enter the primary." Abrams said she still has not reached a final decision about her political future, but is "thinking about everything," including presidential and Senate campaigns. The Colorado senator told MSNBC's "Morning Joe" Thursday that he's "very inclined" to run for president in 2020. "We're looking at it and I think … the American people need somebody who's going to run and tell them the truth in 2020," Bennet said. "We can't get anything done around here if we continue to do what we’ve been doing here for the last 10 years, it’s not just since Trump arrived." The former vice president also attracted attention for expressing regret over his handling of the 1991 Senate Judiciary Committee confirmation hearings for now-Supreme Court Justice Clarence Thomas, during which Anita Hill accused Thomas of sexual harassment. "To this day, I regret I couldn’t come up with a way to get her the kind of hearing she deserved,” he said, during remarks at the Biden Courage Awards in New York Tuesday, honoring students who have worked to prevent sexual assault. The New Jersey senator said he would "absolutely" consider issuing mass pardons for those convicted of marijuana-related crimes, noting that "there is no difference in America between using and even selling marijuana between blacks and whites, but if you’re African-American in this country, you’re almost four times more likely to be arrested for that." Booker also somewhat broke from his past support of the pharmaceutical industry -- which is particularly prominent in his home state -- by pledging not to take money from industry executives and PACs. Buttigieg had a relatively strong performance in a Quinnipiac University poll released Thursday, polling at 4 percent, which tied him with Sen. Elizabeth Warren and vaulted him into an upper-tier of candidates where the crowded field makes capturing more than 1 percent support hard. 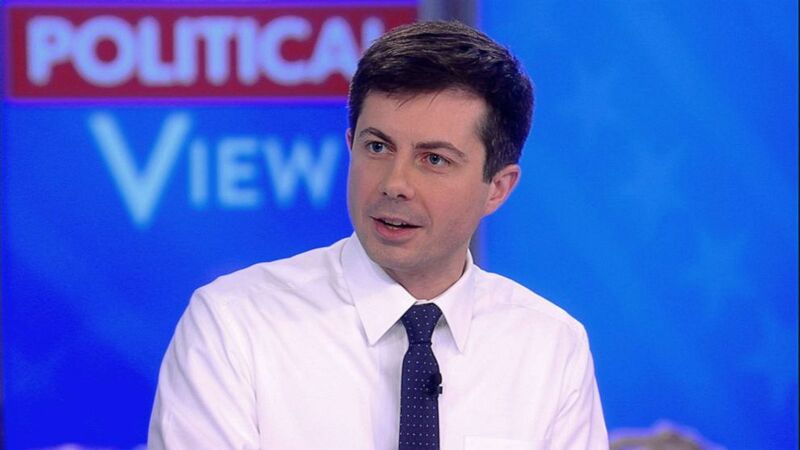 Sports fans who have noticed the resemblance between Buttigieg and Boston Celtics head coach Brad Stevens got a kick out of Stevens expressing his admiration for the South Bend mayor and noting he has "followed him pretty close." Stevens is from Zionsville, Indiana, and used to coach at Butler University in Indianapolis. Castro reacted to Trump's claim that the GOP would soon be known as "the party of health care" by calling the declaration "stunning." "This administration is going completely against the will of the people; going against the will of Congress, and trying to pull the rug out from under millions and millions of American families," he said on CNN Tuesday. The former Maryland congressman said in response to Attorney General William Barr's letter to Congress, which summarized the results of special counsel Robert Mueller's investigation, that "as an American" he was glad "on some level … that the president of the United States was not indicted for colluding with a foreign power." "I was happy that the report is over because I think we've spent way too much time talking about this, and obviously I think every American on some level should be happy with the headline results," Delaney said on Fox News Wednesday. While acknowledging she supported Mueller being given the opportunity to complete his investigation without interference, Gabbard tweeted Monday that Americans now needed to "set aside our partisan interests and recognize that finding the President of the United States not guilty… is a good thing" for the country. Gillibrand became the first candidate to release her 2018 tax returns Wednesday, revealing that she earned roughly $218,000 and paid nearly $30,000 in taxes. 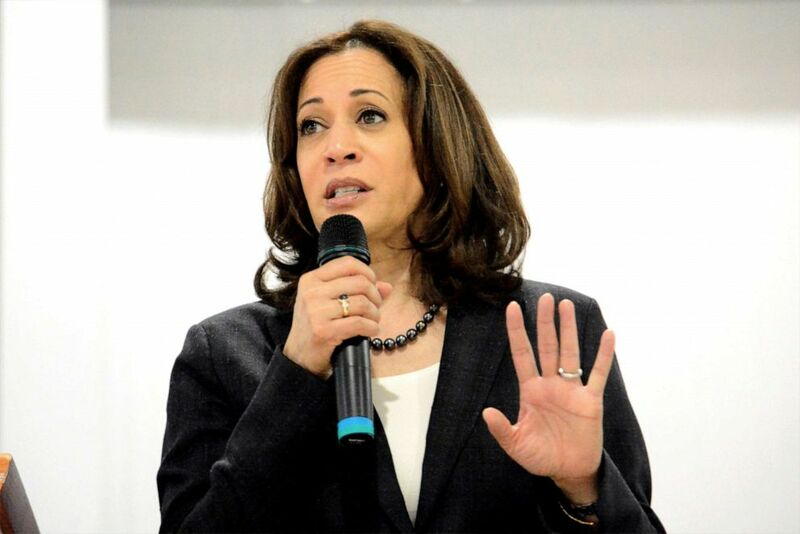 The New York senator further called on her fellow candidates to follow suit. Warren's website includes 10 years of tax returns, but her 2018 form has yet to be posted. In her first major event since officially joining the race, Gillibrand spoke outside of Trump International Hotel in New York last weekend, where she called the president a "coward" and said she has "stood up against Donald Trump more than anyone in the Senate." “Our country’s success is a product of the two groups who raise our children: parents and teachers. We are not paying our teachers their value,” the California senator said in a statement. “Teachers should not have to work two or three jobs to pay the bills." In a Washington Post op-ed, the former Colorado governor said he supports "the concept of a Green New Deal," but that the much-publicized proposal put forth by Sen. Ed Markey, D-Mass., and Rep. Alexandria Ocasio-Cortez, D-N.Y., "sets unachievable goals." "We do not yet have the technology needed to reach 'net-zero greenhouse gas emissions' in 10 years. That’s why many wind and solar companies don’t support it," Hickenlooper writes. "There is no clean substitute for jet fuel. Electric vehicles are growing quickly, yet are still in their infancy. "Amid this technological innovation, we need to ensure that energy is not only clean but also affordable," he continued. McAuliffe has long said that he is considering a campaign, but numerous outlets have previously reported that the former governor's decision could be influenced by Biden's deliberations. The relatively unknown mayor of Miramar, Florida, officially entered the race Thursday morning with a video detailing his background as the son of Jamaican immigrants who earned a football scholarship before starting a construction business and entering local politics. "I see it to be a unique opportunity for Americans to look at another option of leadership," he said, adding, "When you look at a mayor, Americans see mayors favorably. We are at the front line of what Americans are dealing with every day." The Massachusetts congressman, who is still considering a presidential campaign, issued an electoral reform plan Thursday, which included things like expanding automatic voter registration, granting Puerto Rico and Washington, D.C., statehood and making Election Day a national holiday, CNN reported. 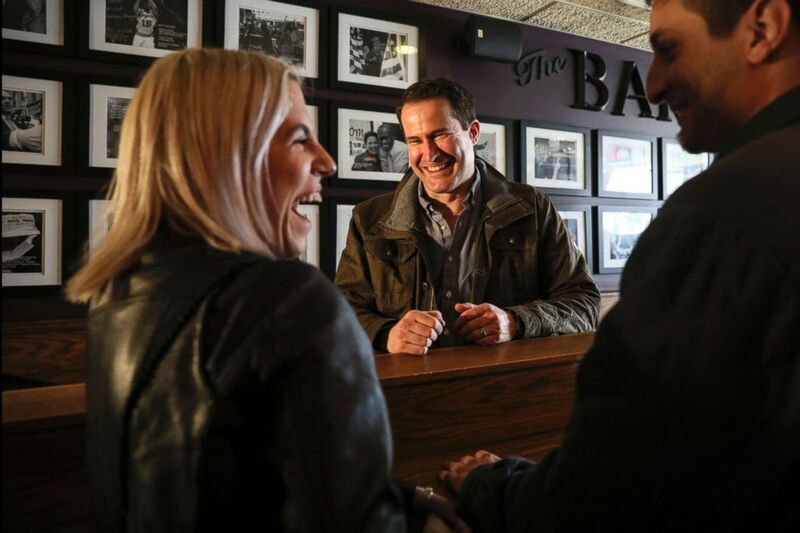 (Cheryl Senter/AP) Rep. Seth Moulton meets with patrons after participating in the Pints and Politics event held at The Barley House in Concord, N.H., March 16, 2019. After a quiet week following his whirlwind first days on the campaign trail, O'Rourke will hold a trio of kick-off rallies in El Paso, Houston and Austin, Texas, on Saturday. "In the next few weeks definitely got to pull the trigger one way or the other, got to make a decision,” Ryan told the Youngstown Vindicator Monday, while adding he was concerned he was not hearing enough about "jobs, health care and pensions" from the current candidates. The Ohio congressman will visit Iowa Saturday for the Iowa Farmers Union "Heartland Forum." The Vermont senator told MSNBC Tuesday that he does not support "incremental reform" to improve the Affordable Care Act, only his "Medicare-for-All single payer program" and argued for the complete elimination of private insurance. 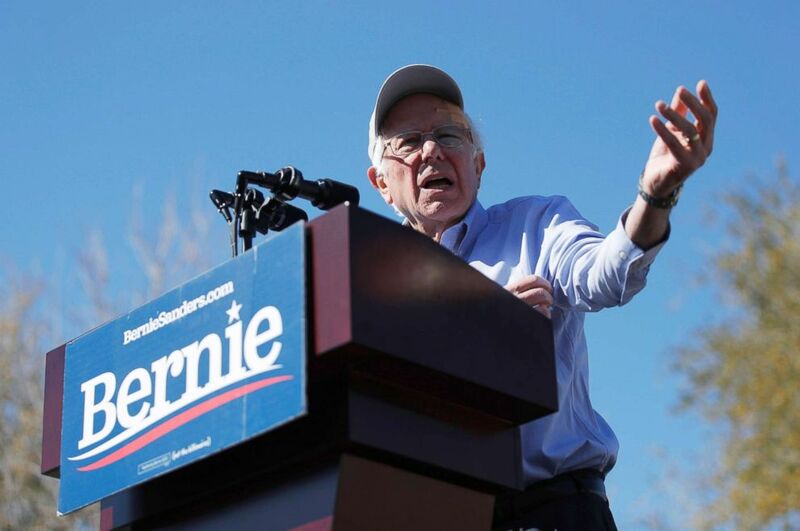 In a column in the Des Moines Register, Sanders pledged to support Iowan farmers and take on corporate agribusinesses, writing that farmers have "been systematically stripped of their ability to control their own futures and no longer know whether their hard work will earn them future success and stability." "When we are in the White House, we are going to strengthen antitrust laws that defend farmers from the corporate middlemen that stand between the food grower and the consumer, and have now become so big and powerful that they can squeeze farmers for everything they’re worth," Sanders wrote. Much like her crusade against some of the country's largest tech companies, Warren is also proposing that large agriculture businesses be broken up, writing in a blog post Wednesday that "we must address consolidation in the agriculture sector, which is leaving family farmers with fewer choices, thinner margins, and less independence." Northeast corridor travelers felt kinship with the Massachusetts senator earlier in the week when, in a viral moment, TMZ captured her running to New York's Penn Station to catch a train. The former Massachusetts governor and Libertarian vice presidential candidate, who established a presidential exploratory committee in February, said during a radio interview Monday that he'll reach a final decision on a primary challenge of Trump by April. "I'm leaning toward doing it unless something changes, and set myself an informal deadline of the month of April to pull the trigger," he later told reporters in New Hampshire.